We’re ducking and weaving between solar flares right now faster than an Olympic boxing champion, but all that ducking and weaving is to no avail. We’re getting hit with wave after wave of electromagnetic energy which doesn’t always feel that great, but the clearing and shifting these waves trigger IS great so next time you find yourself crying ‘Oh no, not another flare!’ know that they are facilitating much inner and outer transformation. A series of flares over the past week has left us feeling extremely tired physically and emotionally. You may have felt like crawling back into bed at random times of the day not just because you’re exhausted but because there’s a bit of ‘What’s the point of anything?’ energy about right now. Every flare seems to be coming with its own unique flavour and message. The one we experienced on Saturday 30 July was a particularly difficult one for many. It felt like an intense wave of alone-ness and loneliness, a blanket of heaviness, a feeling of flatness, feeling like you're an isolated island disconnected from anything or anyone. Time may have dragged on forever as if it was going in slow motion. You may have had an urge to do whatever it is you do when it all gets a bit much whether that's head for the tub of icecream or crawl into bed and hide under the doona/comforter/duvet. If you felt like this, know that you are not alone - there are millions of people going through this with you, not to mention your soul support team 'upstairs'! We are not alone but we all have to experience certain parts of this life journey on our own: no-one can feel our feelings for us, no-one can embody our awakening on our behalf. The flare on that last weekend of July felt like we were in a void of 'aloneness', which may have triggered panic attack like symptoms or anxiety. We were experiencing a very intense blast of confrontation with our 'on our own-ness'. It acted to clear some of our old illusion reality/old wounds around being 'on our own/alone' by triggering old emotions out of the blue including old feelings of being left out, abandoned, ignored, disregarded, forgotten, not considered or not supported. The flare brought up a lot around “I have to do it all on my own" (and feeling burdened/resentful/sad/angry etc about having to do everything on your own, shouldering the bulk of financial obligations on your own, or family responsibilities or whatever it is). If you relate, ask yourself if you feel you receive the support you need? It is time to let go of any old ' I have to do it on my own' stuff, and replace it with "I hand all this to Source energy (or whatever word you want to use) and trust in Source to help me, to support me, to provide all I need, to be there for me, I don't want to do it on my own anymore, and thanks to Source energy I actually don't have to." As you say this (and feel it/believe it) you may feel a literal lightening of your load around your neck, shoulder and back areas, where many of us are holding tension specifically related to the issues that have come up lately. This “have to do it all on my own” energy can also manifest as feeling like you are supposed to ‘have it all together’, feeling like you’re not supposed to show emotion or express anything other than happy sunshiney positivity. There is a huge misconception, not only in our mainstream society but also amongst the ‘spiritual’ peeps that so called negative emotions are bad, and something to be avoided at all cost. Smiling through a difficult inner experience, when you really and truly aren’t feeling happy, can be just as debilitating as self-medicating with drugs and alcohol. How so? When we repress what we are feeling, we are essentially judging something within us as ‘bad’, when actually it is a powerful messenger trying to get our attention. When we continually ignore our inner messengers they have to find more and more obvious ways to get our attention – hello shoulder and neck pain, hello chronic illnesses, hello physical body symptoms that we’d rather not experience. This isn’t to say forget the positive attitude. Our heart (and emotional body) is not a black and white system. Our heart and emotional body is a rich rainbow filled with a myriad of colours and feelings. Awakening to greater consciousness allows us to be aware of more of our full spectrum. Within that spectrum are the many facets of who we really are, and as we grow in consciousness we realise that we can experience multiple facets simultaneously. We don’t have to fear going into any of these facets because we know we are not just that facet, we are more than just that feeling, we don’t feel our identity is suddenly restricted to just that aspect of ourselves. Knowing this, we feel safe and free to express ourselves more authentically. Ironically, owning our ‘shadow’* ultimately leads to our wholeness and inner unity consciousness governed by the heart, while putting horse blinkers on to feel only that which is within our comfort zone can keep us stuck in the old reality of duality consciousness, governed by the mind. Long story short – feel your feelings and be true to your whole self without self-imposed restrictions or judgements. You’ll notice a lot of ‘self-imposed’ stuff is being released right now (and really, everything is ‘self-imposed’), including old beliefs around how we think we should be, what we thought we should be doing with our lives, who we thought we were and so on. Our attachment to these and other stories are going, going, gone. In their place will be a new story, or no story, or a blank story yet to be written – either way it can feel vulnerable and dishevelling to be standing there energetically naked having no conscious idea of who you are anymore. Think of it like an old coat that is being removed to reveal a sparkling outfit underneath, but you have been with that coat for so long that to be without it is, at first, completely disorientating to your sense of self and identity. (We touched on this in July’s Monthly Visions: The deconstruction of who we thought ourselves to be.) It is normal and natural to have bouts of grief and confusion come up – we are saying goodbye to so much of who we thought we were, and even though from our higher self perspective we know it’s time to say goodbye, from our human self perspective it can bring up a lot of different emotions. Another energetic influence prevalent right now is the one of expectation, whether on ones self or on another, and deep disappointment when you or others fall short of the mark. When we say fall short of the mark, we really mean the mark that has been self-imposed by you, who knows when for who knows what reason. This ‘mark’ may have once served as a healthy benchmark or standard of behaviour, but there comes a time for all things when that which has served us starts sabotaging us once it has served its purpose. This is a good time to ask yourself are you holding others in an old or false mould that doesn’t actually fit them (causing tension between you)? Are you needing or wanting others to be something that they can’t, or don’t want, to be (creating anger, hurt or frustration for yourself)? When we do this, we are placing the power of how we feel in someone else’s hands. When we want someone to act a certain way so that we can feel better, it’s a good sign of ‘wrong way go back!’. This doesn’t mean we have to like what they’re doing or not doing. It does mean we need to make some decisions around how we choose to respond. The difficulty with lots of relationships now is there is a huge vibrational gap between many people. It’s like we’re all in our own Willy Wonka great glass elevator that goes up and down, forward and back, sideways and every which ways. So in any given moment you may or may not be on the same vibrational level as your parent/friend/partner/family member/work colleague. This has always been true to a degree, but whereas before the different vibrational levels were able to interact a bit more fluidly, now it is becoming almost impossible. As a result people who are not on your vibrational level, or on one that is not compatible with yours, are either not going to be able to be in your physical reality for a while (or anymore), or if you are in the same room you’ll feel quite uncomfortable, there’ll be an unnecessary argument or other such tension. This ‘vibrational gap’ thing is tricky business because again on our higher self level it makes complete sense why some people just can’t be in our lives right now – if their vibration is not in harmony with ours (or vice versa) the two just can’t meet any more than oil and water can merge. So in that sense, if someone has dropped out of your life you may be being protected from an unpleasant interaction that really doesn’t have to happen. Yet on a human level we don’t always know that these vibrational gap type laws exist, and even when we do know it can be hard to be with the reality that someone you used to care about is no longer in your life, or is not acting in the same way you would with a given situation. It is very much time for a ‘live and let live’ philosophy. People have to do what they have to do right now, even if you can’t understand it or relate to it one iota. Easier said than done, yet done it must be all the same. It is increasingly a time of letting go of any pressure or expectation you have on not only others, but also yourself because there is just SO much shifting right now it can be very hard to have a set goal and expect yourself to reach that goal for the simple reason that some other course of events may have much more potential to awaken/heal/transform something in you that is next in the queue for awakening/healing/transformation. Years ago we had more time and flexibility to deviate and detour from awakening opportunities. Now, time is of the essence. If something is scheduled for shifting, you can be pretty sure it will happen in days or weeks rather than months or years. We all have a greater higher goal that is much more important than our seemingly very important conscious goals. This sounds like the gradual process of awakening we have been on for lifetimes, but they are very clear that ‘the great revealing’ will be an event within the overall ‘revelations’ period we are in right now, and that the ‘coming out of sleep’ that they are referring to will affect everyone and be directly related to this particular event. What is this event? Well, in my experience the elders tend to share as much information as they feel is needed for now and no more, or perhaps they only share as much as I can, for whatever reason, receive in that moment. So, unfortunately and annoyingly, I don’t know what this event is, but my feeling is that it is related to us suddenly, unexpectedly and extremely quickly, being shown who it is we really are, our galactic history and origins, and the truth of what is actually going on on this planet. It will be the turning point in moving Earth and humanity into our next phase of evolution. The event could be disclosure, starships appearing everywhere, mass awakening triggered by a cosmic alignment and the resulting downpour of high vibrational energy onto us or none of the above. Waiting energy is not particularly empowering energy, and one has to be mindful and ask are we being lulled into this waiting energy so that we don’t take action and actually DO something about the state of our planet? So please check in with yourself always and daily affirm that you are always aligned with your best possible self, best possible reality and best possible movement forward. Affirm that you are always in the right place at the right time, and you may also like to affirm that you are always where you can do the most good for the most amount of people. Be discerning about what you read and hear and see, and always ask yourself: how does this make me feel? Is it true for me, or not? Back to the solar flares - the energetic effects of regular, strong flares are not only taxing on our emotions but also taxing on our physical bodies. Really, it’s not too different to being pummelled by ocean waves for months on end or experiencing the contractions of labour indefinitely instead of (comparatively) mere hours. This is a very real physical experience that we are all going through, not just an emotional/energetic/spiritual one. Even our electrical grids are subject to power failures if hit by a big enough geomagnetic storm resulting from a solar flare. Questions are being asked as to whether this was the reason for India’s massive power outages over 30-31 July with 650 million people affected – over half the country, and around 10% of the world’s population! I think this is a good time to say, this is not a fire drill! The fact is, the solar maximum is here, the flares are going to increase in number and strength, and while we have gone through this solar cycle before, we haven’t gone through it with the extreme connection to, and dependence on, power that we currently have. This isn’t something to fear, it’s something to be practical and prepared about. I’m not talking about building a bunker with 2 years worth of food, rather just think about what you might like to have handy if your family is faced with a power outage for 2-3 days which may include no running water. This is no longer a potential 2012 scenario, it’s what millions of people have already lived through this year for one reason or another so, as the Scout motto says: Be Prepared! Friends of ours in the US recently had a 72 hour power outage. Aside from being desperate for a shower by the end, our friend said she didn’t miss the tv/computer/internet/cell phone at all. It was a welcome break from the external noise we have become so used to. The flares are shifting our perspective, allowing us to go offline for a while, re-connecting us to our natural sources of power vs artificial, and helping us appreciate the little things like a hot shower. 2 Billion people in the world have no access to electricity and almost a billion people lack access to clean, drinking water. Will it increase our sense of connection to our brothers and sisters around the world living in those conditions if we find ourselves experiencing a version of it for days on end regularly? Will the unpredictability of our national power grids trigger more of us to take steps toward an ‘off-grid’ lifestyle? When you feel a flare or read about the Solar Storms as we increasingly will, instead of going into fear or despair ask yourself: If this is here to help us, how is it helping? What message does it have for us? We are living through a year where every day, and sometimes every hour, will have a different flavour - ranging from extreme wellbeing and clarity to disillusionment and despair and everything in between. Knowing that we have strong energy waves passing through us, for the purpose of clearing debris and raising our vibration, can help us to ride our own personal rainbow rollercoaster, as crazy as it can get some days! Some days you may want to consciously work with whatever is coming up, other days you may just want to take deep breaths till it passes. Everyone will have a different way of getting through these times, it's really what works best for you and that may be different every day! There were some high energy flares mid-July during the Mars/Uranus opposition during which time it was helpful to do very physical and grounded things like running, dancing around or having your feet on the earth. This week it’s maybe more about finding things that are comforting and nurturing for you. I keep repeating this and will likely continue to but we really just have to breathe through these 'contractions' because there are plenty more coming!! And remember, we are not alone. Not one of us. Not ever. *Debbie Ford is the queen of working with your Shadow. Her book ‘The Dark Side of the Lightchasers’ is a great place to start if you are new to shadow work. (c) Dana Mrkich 2012. Permission is granted to share this article freely on the condition that the author is credited, and the URL www.danamrkich.com is included. 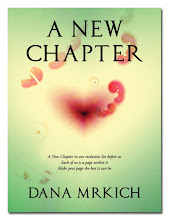 Dana Mrkich is an Energy Intuitive, Writer, Speaker, Teacher and Author of A New Chapter. oh boy :P you are amazing Dana! This week sure has been tough. Anyway, I am so grateful for you right now..your realness, humility, and awesome Aussie sense of humour! Great photos of you and Lee Harris. Wowser, you two shine!! I am sooooo grateful to you for this Dana, I was starting to think that I was wallowing in a self-pity party that was completely devoid of all I know to be true. Your generosity in sending these words of affirmation out for all of us wondering what the heck is going on is such a blessing. Can relate to this line, "Some of you will snap out of any remaining sleep relatively quickly. Some will take longer than others to come out of their sleepy haze, ...". I have felt this deep inertia my whole life. Each day a bit of this "unconsciousness" is revealed. It is distressing to see the depth of it in my life. I have opened mail from 3 years ago that just sat in a bag waiting for me to wake up and get to it. At the moment I am figuring out how to go forward. It is like learning to walk, one step at a time. I felt many of this things in this few days... with a feeling of "I'm good for nothing what, I'm doing here?!" because I made several mistakes at my work... stupid mistakes that usually I would not do... but my mind is out lately having that "old feelings of being left out, abandoned, ignored, disregarded, forgotten, not considered or not supported"... and after I read your post it starts to make some sense to me.. If you would like to make a donation to help contribute to the offering of this blog and video messages, you can do so here. Thank you! Energy Intuitive Dana Mrkich (BA Comm. Social Inquiry/Media)is an internationally known visionary in the fields of Conscious Evolution, Personal Transformation and Vibrational/Energy Reality. With over 16 years experience seeing clients all around the world, Dana offers Soul Sessions via email, phone and Skype empowering people to step further into their true self and best possible reality. Dana is the author of A New Chapter, and has produced and hosted two radio shows; TruthSeeker (Sydney Australia) and Visioning the Dream Awake (Voice America). 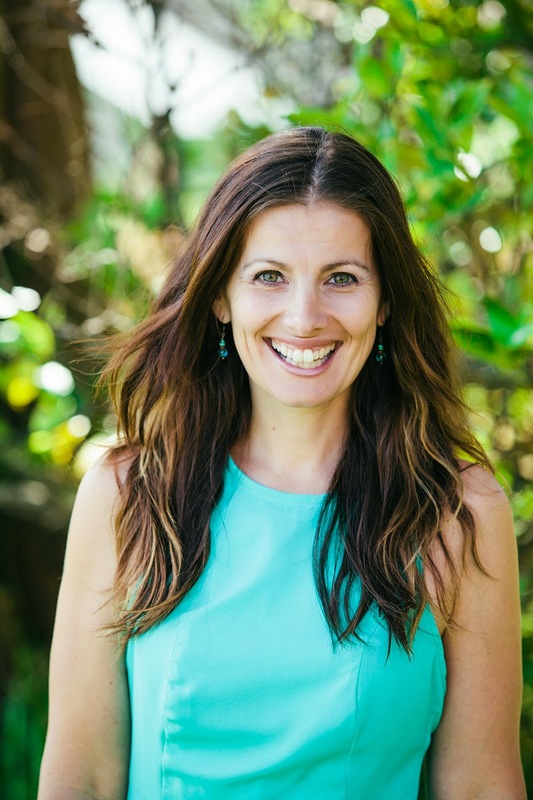 An inspirational writer, teacher and speaker with a natural ability to remind others of their innate truth and essence, Dana's 7 week E-Course Create a Life you Love has recently been launched on Daily Om. Her articles have appeared internationally in print and online magazines. Dana is passionate about the merging of consciousness with action in all arenas, and was a panellist at the 2005 World Peace Congress in Italy with her talk Creating our New Reality. Dana has had a lifelong vision that we are here this lifetime to awaken to our true natures and open up to a greater reality.